The bank-holiday weekend of 21-25 May 2015 saw a raft of photographic happenings in London. The two big ones were Photo London and Offprint London. I attended both. Was it worth it? You bet! Somerset House, home of Photo London 2015. 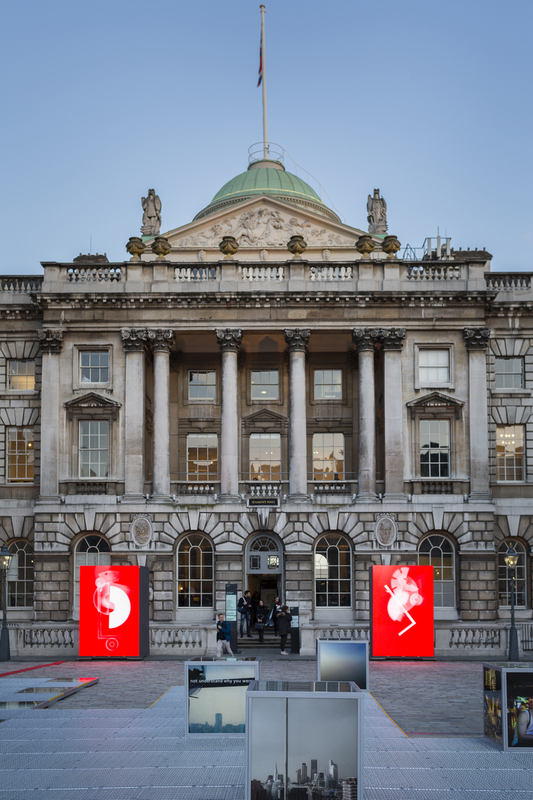 Photo London was based at Somerset House, had 70 galleries from 20 countries participating, along with 10 publishers and 3 special exhibitors. For me this isn’t a huge draw as I find the gallery scene rather rarefied and certainly out of my price bracket, but it’s a good opportunity to take the pulse of the photography collectors’ market and to see which names and styles are in vogue at the moment. It is not a free show; the entrance fee is pitched high enough to keep away the casual viewer and other oiks like me who can’t afford gallery prices. Nevertheless, I took the plunge and spent 5 hours immersed in some wonderful images. Somerset House made an excellent venue, with its characterful small but linked rooms with lots of wall space making it ideal for the various galleries to display. Being split over 5 floors meant getting plenty of exercise on the stairs, though less than ideal for those with mobility difficulties. There were a few galleries selling historic images but the majority were promoting contemporary photographers. For me this balance was about right. The V&A also had a well-curated display of images from its collection called Beneath the Surface that continues until 24 August 2015. 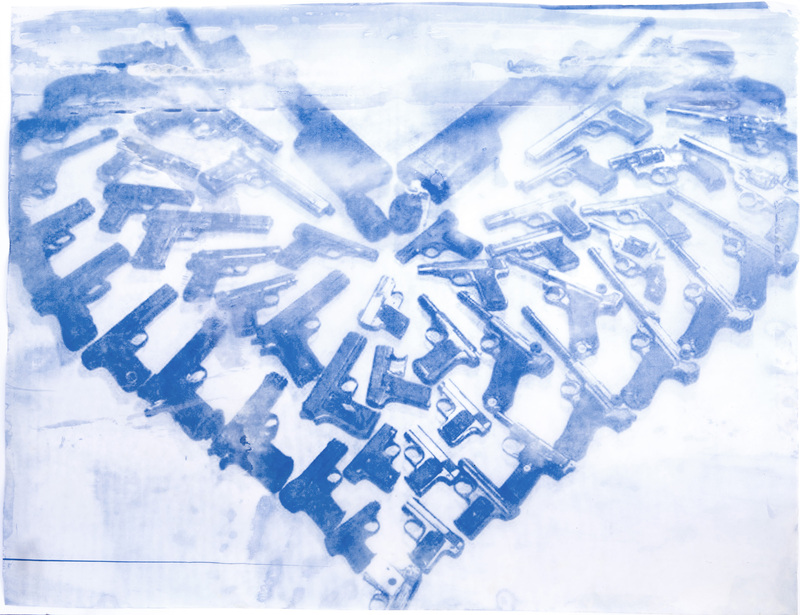 Guns Love. 2014. Thomas Mailaender. Copyright the artist. There were, of course, a huge number of excellent images (as well as some I wouldn’t give wall space to). If I have to pick one stand-out artist it is Thomas Mailaender‘s cyanotypes on the Roman Road stand. Although all the images used the cyanotype process the images were not process-driven but displayed a repertoire of playfully diverse ideas executed in an original but not gratuitous way. Offprint London was my main interest because of my long-running enthusiasm for the photobook. Several people I spoke to said that it was very similar to Offprint Paris in size and scope, though I noticed that some of the more established publishers had decided to exhibit at Photo London instead of Offprint. It was great to see indie publishers from across Europe and even a few from across The Pond! Not all exhibitors showed photobooks but these I just ignored. There has been a huge increase in the number of photobooks produced recently compared with only 10 years ago, and the number of exhibitors and the size of the crowds at Offprint only serves to reinforce this. Unfortunately there has also been a huge increase in the number of poor photobooks, and Offprint had its fair share of those too. It’s great that photographers want to make photobooks and we all have to start somewhere but some of the work here shouldn’t be inflicted on a wider world. There is too much ego-driven publication and not enough art or craft value in a lot of photobooks today. Having got that off my chest I should also say that there are a lot of good quality books for sale at Offprint. Many are commercially published, which is fine, but it was the artisan self-publishers that took my eye. In particular I liked the work of Jane & Jeremy and Highchair Editions. Their art-and-craft blended approach and interesting design ideas were eye-catching and went beyond what would be expected from commercially-produced books, which is exactly the sort of photobook work I hoped to find at a show like this. 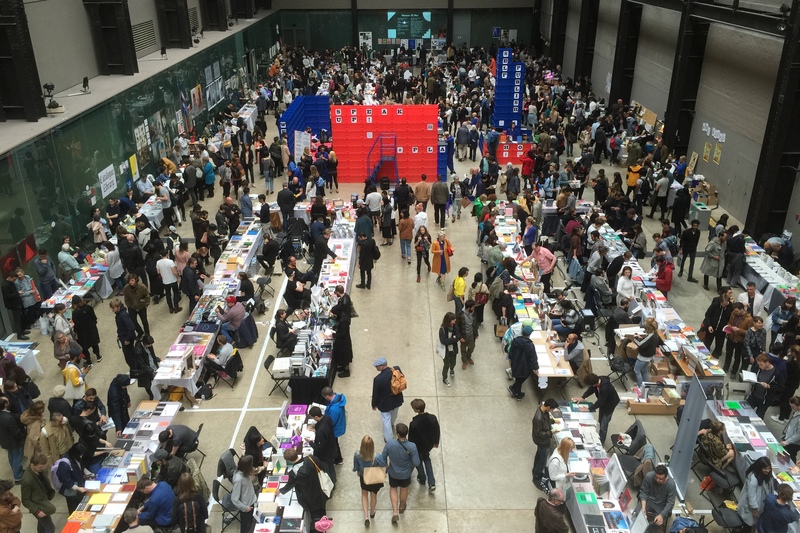 So well done to you, and congratulations to Simon Baker and Tate Modern for holding Offprint London – I will definitely attend if it runs again next year! Speaking of which, Photo London has already announced next year’s dates as 19-22 May 2016. Fingers crossed that Offprint will also repeat.